​Oenone was one of the Naiad nymphs of Greek mythology made famous by the fact that she was also the scorned first wife of the Trojan prince Paris. ​Oenone was a naiad nymph, a daughter of the Potamoi (River god) Cebren; the river Cebren flowed through the Troad, and so Oenone became the nymph associated with a spring found upon Mount Ida. Oenone had additional skills, skills which were not always associated with Naiad nymphs, for it was said that Oenone was highly skilled in the making of medicines, using the herbs found upon Mount Ida, and Oenone was also said to have the gift of prophecy, a gift given to the Naiad directly by Rhea, the mother of Zeus. ​Mount Ida was also the home to Alexander, the Trojan prince Paris, who was supposed to have been exposed as a baby upon the mountain. The herdsman, Agelaus, who had been given the task of getting rid of the baby by King Priam, found though that the baby had not died, for it had been suckled by a she-bear, and so Agelaus raised the baby as his own. 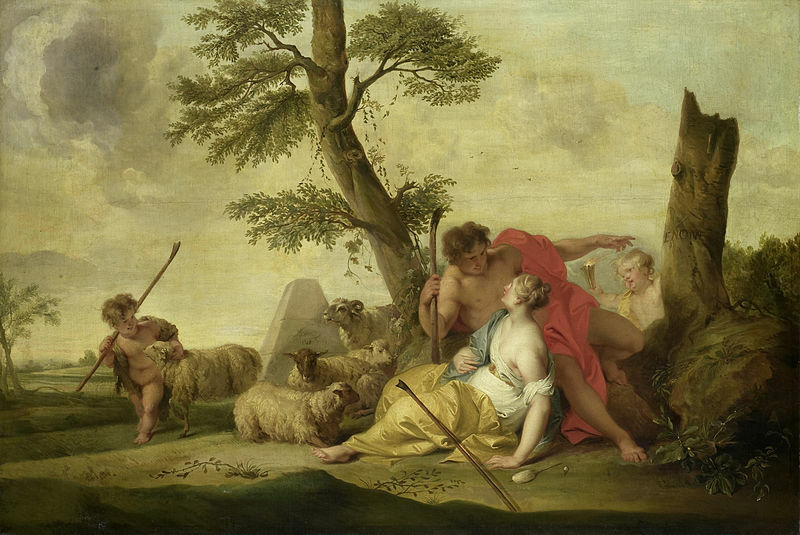 Paris would grow up to become a herdsman as well, and in the time before he was recognised as the son of Priam and Hecabe, Oenone fell in love with him. Unsurprisingly, the mortal Paris, also fell in love the beautiful Oenone, for what mortal can resist the beauty of a Greek goddess? Rashly, Paris proclaimed that he would always be true to Oenone, and so Oenone and Paris were married. 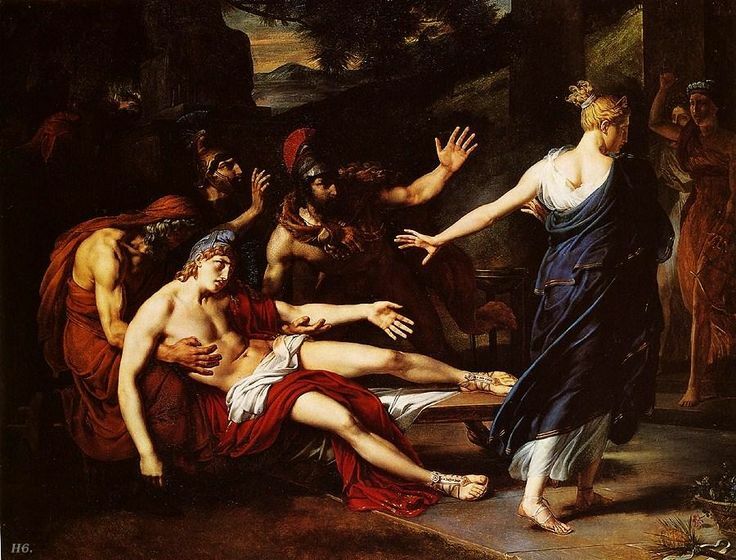 The prophetic skills of Oenone made her very aware that Paris would leave her for Helen, and also that he would need her healing skills at a later date. ​In the meantime though, Oenone would become mother to a son of Paris, a son named Corythus. Years later, Corythus would be killed by Paris, for Corythus, now a young man came to Troy during the Trojan War, and the beauty of Corythus attracted Helen, and Paris, seeing only a love rival, not his own son, killed him. The prophetic skills of Oenone did the Naiad no good though, for Paris would indeed leave Oenone, despite the Naiad’s pleadings, when Aphrodite offered Paris the beautiful Helen. As prophesised by Oenone, Paris would require her healing skills after the Trojan War had been going on for 10 years, for Paris was hit by one of the arrows of Philoctetes, an arrow anointed with the poisonous blood of the Lernaean Hydra. Paris now needed the help of the wife he had abandoned ten years before, and it was now said that the injured Paris travelled to Mount Ida, or sent a messenger there. Oenone though did not forget, nor forgive, Paris for her abandoning her, even though it might be said it was the will of the gods that he did. Now, in his moment of greatest need, Oenone refused to heal him, telling him that he should go to Helen, although Helen had not the skill to heal him. Paris would thus die from the arrow wound, but the death of Paris would also bring about the death of Oenone, and commonly it was said that Oenone regretted her decision not to heal her husband. Oenone thus committed suicide, although writers in antiquity told different methods of the Naiad’s demise. Some tell of Oenone jumping onto the lit funeral pyre of Paris, others tell of Oenone hanging herself, throwing herself off a cliff, or jumping from the battlements of Troy.